CAA 2015 “Keep the Revolution Going” Conference includes different kind of formats for the delivery of content. These are designed to be a specific balance between formal presentations and freeform open discussions. The main themes of the conference include according to the session and paper proposals reviewing process: 48 sessions (350 papers), 13 workshops and 6 roundtables ad poster session (160 posters). CAA 2015 Siena ORGANIZING COMMITTEE IS PLEASED TO ANNOUNCE THE RELEASE OF THE CONFERENCE PROGRAM. 17.30 – 18.00 – Conference opening: Rector, Usiena Humanities Dean, CNR, MIBACT. Pizziolo G. and Sarti L. (eds) “Predicting prehistory. 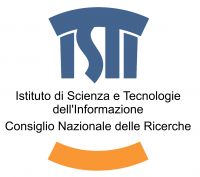 Predictive models and field research methods for detecting prehistoric contexts, Proceedings of the International Workshop, Grosseto (Italy), September 19-20 2013“, Millenni studi di archeologia preistorica, 11, Museo e Istituto Fiorentino di Preistoria “Paolo Graziosi”, Firenze 2015. 13.30-14.30 Lunch time talk: Herbert Maschner. Archaeology and the Democratization of Science: A New $10,000,000 Project is Seeking Collaborators and Research Ideas. Herbert Maschner, Director of the Idaho Museum of Natural History, Idaho State University. Executive Director of the Centre for Virtualization and Applied Spatial Technologies, University of South Florida.